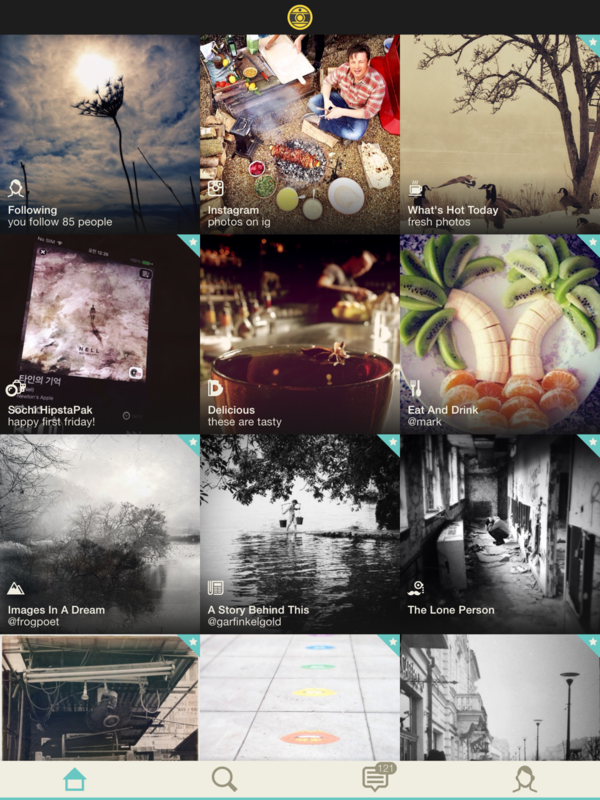 Hipstamatic today launched its photo-editing and sharing app Oggl for the iPad, alongside a handful of new features that makes viewing shots, previewing edits and monitoring user feedback simpler than before. As you would expect, the iPad app allows you to browse more photos at once and also review individual shots in greater detail, due to the larger display in Apple’s slate. Otherwise it’s a familiar experience, with tabs along the bottom for accessing your collections and feeds, search, notifications and profile page. The most notable addition for both the iPhone and iPad app is SurfMode, which gives you a smooth, moving mosaic of photos whenever you flip your device sideways. It’s not how I like to browse photos, but it works well on the iPad as a digital photo frame in your living room. To take the idea one step further, SurfMode can also be streamed to an Apple TV via AirPlay, for parties and special occassions when you want to have some photos on display. Elsewhere there’s a new notifications ticker that shows how many likes, shares and favorites you’ve received recently, as well as revamped storefront to help you choose which filters to purchase next. While you’re shooting, Oggl will also show a live preview of your chosen ‘film’ and ‘lens’ before you take the shot, which is useful when you want to know if a subject or composition will work with a particular editing style.